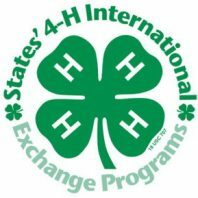 Washington 4-H International Exchange is hosting youth delegates from Costa Rica (3 youth), Japan (10 youth and 1 chaperone), and South Korea (10 youth and 1 chaperone) this summer. We’re looking for families that want to gain a global perspective by hosting an international delegate. The host family commitment for Costa Rica delegates is June 26-July 21, and for Japan and South Korea delegates it’s July 21 – August 20. No special activities are required or expected, just a great Washington family experience for all. These are great kids from families much like yours. They’re excited to make friends, learn about Washington, practice their English, and be a part of your family for a few weeks this summer. The delegate list is not yet available, but this is the perfect time to submit your family hosting application. Then you’ll be the first to know who’s coming to Washington this summer. Each family should have a designated host sibling who would be the same gender and within 3-4 years of the international delegate.